It might be a little fish in the market pond, but Netflix, Inc. (NASDAQ:NFLX) is no slouch when it comes to its business of providing streaming videos and DVDs to a global marketplace. And it seems that after some struggles with profitability in 2012, the company has roared back, banishing thoughts about a lack of profitability and getting major leverage with its development of original shows. Monday, Netflix, Inc. (NASDAQ:NFLX) reported its quarterly earnings, and the roof came off the shares after the results. Perhaps the biggest statement about growth for the company came very simple in the subscriber base, as the company reported adding 3 million new subscribers during the first quarter of 2012, a jump of more than 11 percent, to 29.2 million subscribers. CEO Reed Hastings said the plan for the company is to get to 90 million subscribers worldwide, and said the company would be expanding operations into a European market (shhh! It’s a secret!) later this year. For the first time in the company’s history, quarterly revenue topped $1 billion, matching analysts’ estimates at $1.02 billion, which was a 17 percent increase over the same period a year ago. Overall earnings for Netflix, Inc. (NASDAQ:NFLX) totaled $2.69 million, or an EPS of 5 cents per share, which was far better than the EPS of minus-8 cents per share in the first quarter of 2012. Netflix noted that its original series, “House of Cards” and now “Hemlock Grove,” are proving to be dynamic additions to the streaming library, and the company plans to show the fourth season of the Jason Bateman comedy series, “Arrested Develoment” in late May – following on the success of the series for FX Network before it dropped off the air more than a year ago. Based on the reaction to the stock, Netflix, Inc. (NASDAQ:NFLX) must be getting tinto the good graces of investors and customers again. After the company went through a PR nightmare when it raised prices and split its DVD and streaming services into two separate subscriptions, the stock fell off a cliff, dropping from nearly $300 a share down to about $54. But it is pretty clear that while postage rates have gone up, Netflix has been working its way through the chaos and seems to be poised to return to some of its former glory. There has been some talk of the company introducing some new subscription plans or fees in an attempt to increase margins, but while the increase in subscribers is impressive, the company may still be in fragile territory. And with Amazon.com Inc. (NASDAQ:AMZN) and Hulu LLC stepping into the realm of original programming themselves (Amazon just revealed 14 pilot episodes of various programs for customer approval), perhaps the last thing Netflix will want to do is increase any price or fee to increase margins. Netflix is showing itself to be a decent comeback story and it has a good business model working, but in order to hold off Amazon.com Inc. (NASDAQ:AMZN) and its dirt-cheap subscription service, Netflix will have to continue to be aggressive with its original programming and will likely have to work to aggressively pursue more broadcast licenses – and perhaps may need to delve into the realm of live TV opportunities to make its subscription model work, since it does not have hardware to sell (unlike Amazon) from which to watch its shows. Although – this is just me – there is talk that Barnes & Noble Inc. (NYSE:BKS) is looking to sell its Nook division … maybe an opportunity to develop a Netflix device (or devices) from which to watch “House of Cards”? 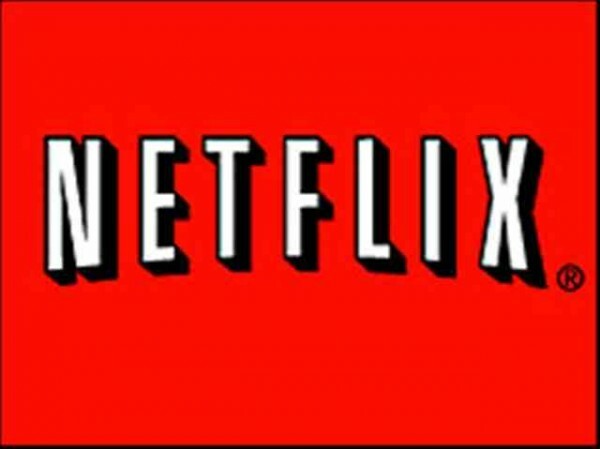 What are your thoughts about Netflix, Inc. (NASDAQ:NFLX)? Is this jump in the stock today warranted? Would you buy Netflix now? Where do you think the company should go next to head off Amazon.com Inc. (NASDAQ:AMZN)? Let us know your thoughts in the comments section below.